His million dollar bride… Ben Carter’s reputation has been savaged by a shocking press exposé and there’s only one way to save both it and his latest business venture: with a gold ring. In Julianna Ford— daughter of his European rival—Ben’s found the perfect candidate… until she says ‘no’. No one refuses Ben Carter, not least of all this beautiful and beguiling English society princess. 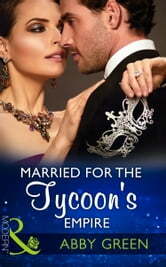 So when Julianna auctions one kiss for charity, Ben seizes the chance to win his heiress. He might have paid one million dollars for a kiss, but Ben intends to have so much more…!